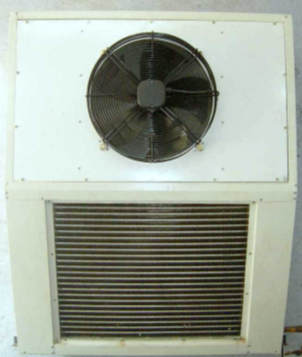 We offer a wide range of air cooled chillers with most popularly used refrigerant options. Manufactured using tested technology and under strict guidelines, these chillers are available in a wide range of capacities from 2 TR to 100 TR. Air cooled chillers are easy to install and commission as they do not require cooling tower water or other significant civil infrastructure. 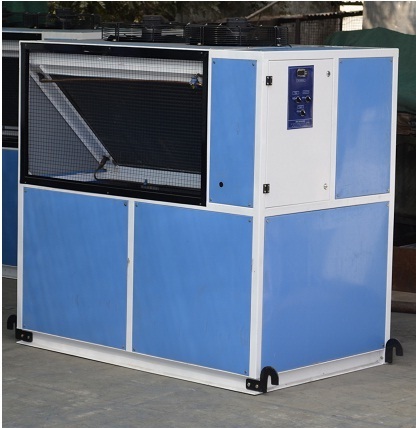 Our designs are optimized to handle varying cooling loads and as a result efficiency is not compromised due to fluctuations in loads. These make them ideal for a variety of industrial applications. Available with R22 or R407C refrigerant options. 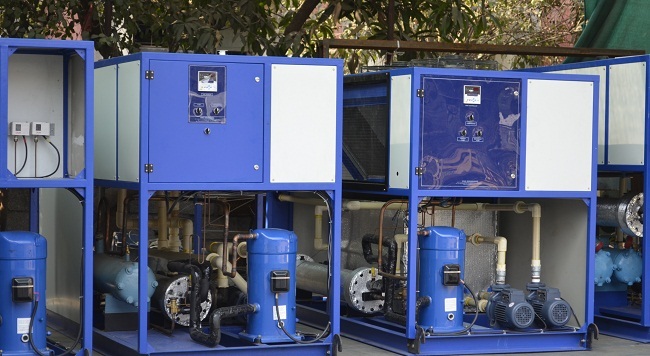 These chillers are pre-wired, fully charged and run-tested at the factory thereby making it easy and less time-consuming for installation and start-up. Stainless steel hydraulic circuit with buffer tank. Extremely compact plug-in design for high ambient applications. 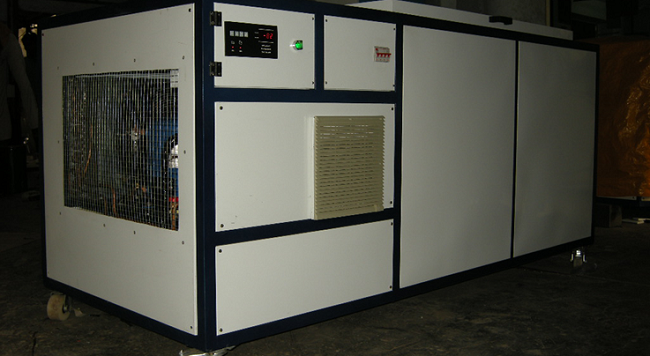 We offer a wide range of water cooled chillers. 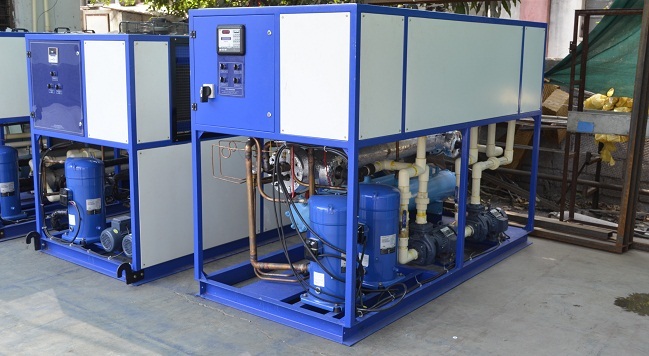 Water cooled chillers are known for their high efficiency. Our offerings are flexible enough to suit unique customer needs. 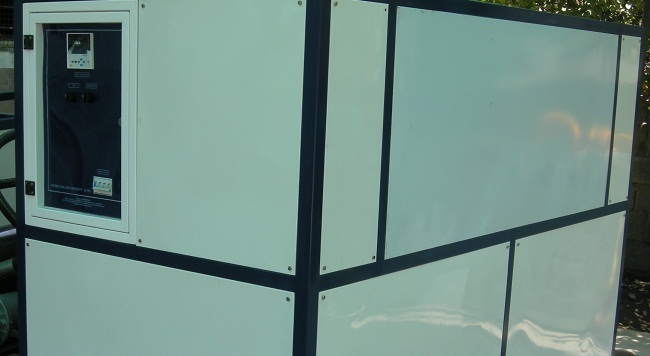 Our designs ensure low noise levels and high efficiency. We offer models with built in expansion tank and circulation pumps. 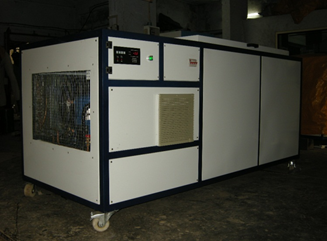 Chiller capacities available from 3TR to 100TR. Wide range 3TR to 100 TR, R-22 or 407C refrigerant options. 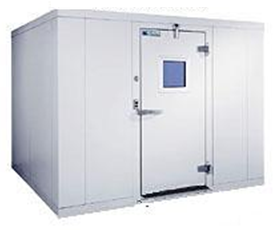 Modular Walk in cooler (Cold Rooms) are Pre-fabricated & assembled at site to desired dimensions and specifications. 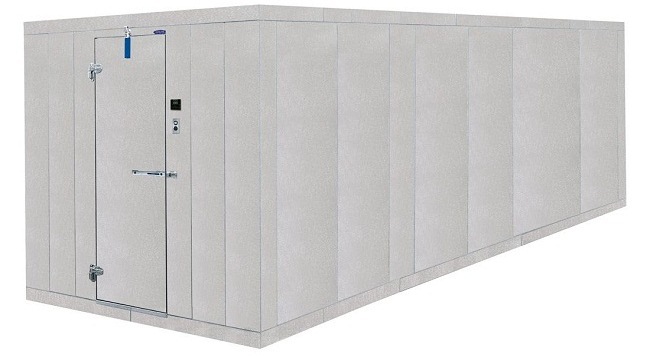 Our Modular Cold Rooms use industry standard PUF Insulated Panels. The Refrigeration Units are manufactured based on tried and tested designs to offers optimal performance and high efficiency. Our extensive experience and knowledge base help us deliver efficient, reliable and perfect solution to the customer’s varied needs. We provide precise solutions to maintain temperature and humidity as required by the customer for process or storage requirements. For Pharma industry ,we provide documents IQ/OQ/PQ , Test & Calibration certificates. 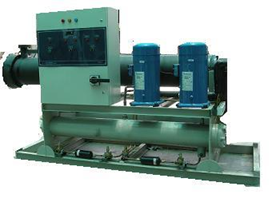 Refrigerated Oil-cooler is used to maintain required Temp of Hydraulic oil in hydraulic machines. Circulation pump of Hyd. Oil cooler circulates oil from sump of Hyd. Machine to heat exchanger of oil cooler, thus maintains Temp. of Hyd. Oil , helps to retain properties & life OF HYDRAULIC OIL. Air-cooled models 3000 K/cal to 15,000 K/cal. Water -cooled models 15000 K/cal to 45,000 K/cal. Works in high ambient temp up to 50⁰C. Industrial Air-conditioner used to cool panel rooms to maintain permissible temp. 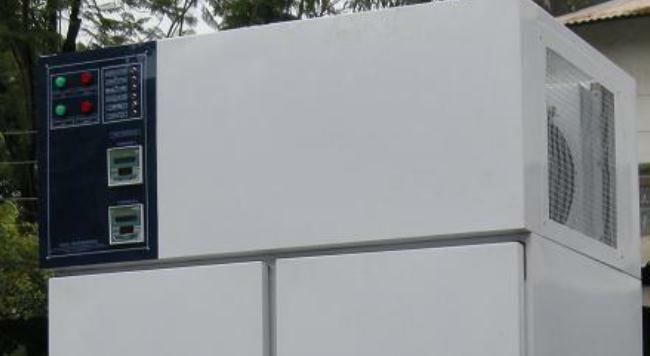 of PLC banks and control panels. Our in house developed, Industrial AC design works in highly dusty atmosphere. High Efficiency even in demanding conditions and varying loads. Wide range of capacity 5TR to 15 TR. We provide specialized Ultra Low Temperature freezers. Our ULT Freezers are tailor made for low temperature applications upto -80 C. Our robust designs based on extensive experience ensure optimum performance and dependability. Available from 30 Liters to 1600 Liter capacity.